Jo March, the tomboy heroine of Little Women, has grown up! She returns in this beloved sequel as a young woman with a family of her own. Jo and her husband, Professor Bhaer, open their hearts (and their home) to educate and care for a handful of rowdy yet well-meaning youngsters. Plumfield, the school where the boys learn "how to help themselves and be useful men," has a spirited student body that includes — in addition to the Bhaers' two sons — Nat, an orphaned street musician, cold and frightened when he first appears at the Bhaers' door; business-minded Tommy; Dan, a "wild boy" eventually tamed by love and kindness; and other endearing little mischief-makers. Outside the classroom, the boys rush headlong from one prank to another — from playing matador with the family cow to nearly setting the school afire with a smoldering cigar stub. But in the end, they prove to have a positive effect on the lives of the entire Bhaer family. 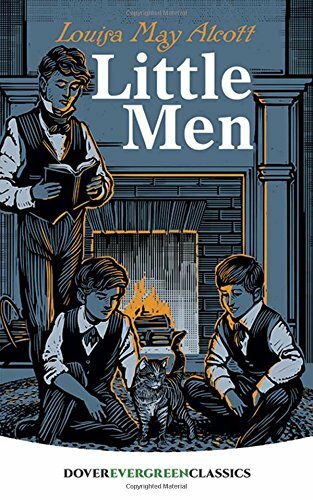 With tales ranging from tearful to cheerful, this heartwarming unabridged classic promises young readers an exciting and fun-filled visit to nineteenth-century America. Louisa May Alcott was both an abolitionist and a feminist. She is best known for Little Women (1868), a semiautobiographical account of her childhood years with her sisters in Concord, Massachusetts. Alcott, unlike Jo, never married: ""...because I have fallen in love with so many pretty girls and never once the least bit with any man."" She was an advocate of women's suffrage and was the first woman to register to vote in Concord, Massachusetts.